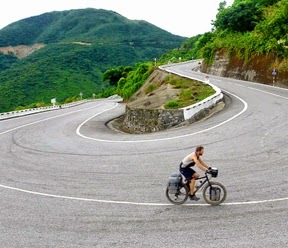 Chuon lagoon, part of the Tam Giang lagoon aquatic system, passes through Highway 49 and An Truyen village, Phu Vang district, Thua Thien-Hue province, nearly 15 kilometres away from the centre of Hue city. Chuon lagoon, also known as Cau Hai lagoon, is a favourite destination for many tourists who visit the ancient capital of Hue. Chuon lagoon is peaceful in the early morning. People here live by fishing. They begin their work at 6pm and end at 6am the next day. The lagoon becomes crowded with fishermen, adults and children when fishing boats dock after their long offshore fishing journeys. The boats are not only means of subsistence, but also the residence of fishermen and their families. Many kinds of seafood are sold on the lagoon and on the dock. The beautiful scenery in Chuon lagoon makes such a deep impression on visitors that they do not want to leave here.